Jelly Bean to be Android 4.1? Possible debut on sub-$200 ASUS made tablet. Rumors of an ASUS manufactured, Tegra 3 Quad core powered, 7 inch Jelly Bean tablet have been running rampant for the past few weeks. 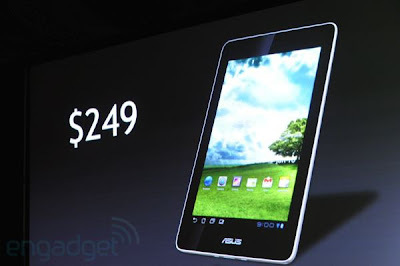 We reported earlier this year that ASUS would be looking to make a similarly equipped tablet for $250 and we though that was a great deal. Recent rumors have been suggesting that Google would be looking into partnering with ASUS to produce a $199 which would make it an even better deal. Today we get our first evidence of the existence the "Nexus Tablet", as Powerboard's Rightware benchmarking software has recorded a device listed as "Google Asus Nexus 7" with a Tegra 3 CPU and a 1280x768 resolution display. We will bring you more info on this tablet as the story unfolds.